Predator hunting is a challenge, but we are up to helping you take on the predator hunting challenge! What animals do we hunt? How does a typical guided predator hunt day go? We pick hunters up from the motel/hotel a couple hours before daylight. We will get fuel & stop at a local convenience store before the morning hunt. We suggest that hunters grab any last minute items at this time or go to a local grocery store the night before the hunt begins, hunters provide their own food on our hunts. Most of the time, we will be in the field all day, unless the hunter(s) need a break or the weather conditions are inclement. Typically we are eating sack lunches in the middle of now where, but occasional we are in an area where a rural restaurant might be an option. We bring the hunters back to the motel/hotel after dark & they are on their own for dinner. We wake up do it all over again, if it’s a multi-day guided predator hunt. We do not currently offer night hunts, everything is called in during daylight hours. 4×4 vehicles are a must where we predator hunt & that is part of what we provide to you as a guided hunter. We hunt out of trucks or 4runners, because they are just the BEST vehicle for this type of hunting. Hunters can expect to travel on a wide variety of off highway roads & sometimes on extreme 4×4 trails with our guides. It’s more than just a predator hunt, it’s truly an Adventure! How do we predator hunt? Your guide will have a plan in place based on his experience, weather & what type of animals you want to hunt. Keep in mind, the wind is not predictable outside of 1-2 days, so we really wait until the last minute to decide where or how we are going to hunt. Sometimes, we will change plans during the middle of the hunt, because the predator hunting conditions. We have to be flexible, because the weather & animal behavior can change drastically. 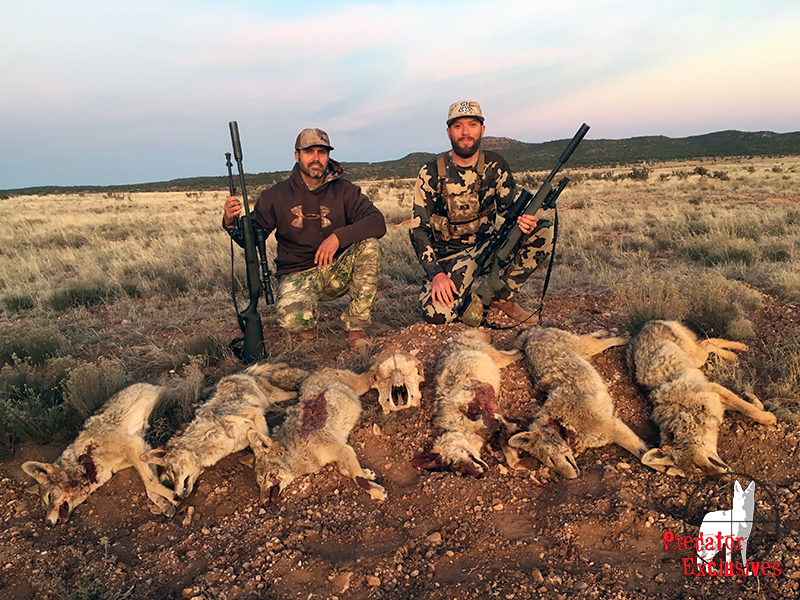 For a higher volume coyote hunting day, expect to do 15-20 stands/set-ups in a day. Walking anywhere from a 1/4 mile to a 1/2 mile to each stand and then back to the truck. Each predator hunt stand will last from 5-20minutes, depending upon your guides professional opinion. You will need to hustle if this is the type of hunt you want. We typically call-in about 4-6 coyotes, but we have called-in as many as 15 in a day. There are some days we only call in 1-2 coyotes, but these are typically when hunting conditions are tough. Occasionally, we will call-in a bobcat, while trying to target coyotes. This is called… getting LUCKY! 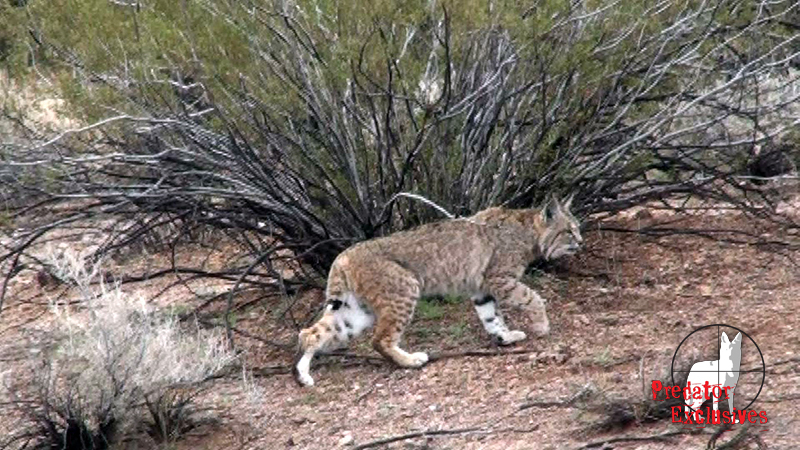 Bobcats & coyotes do have overlapping areas, so this is always a possibility & is part of the excitement of calling predators. If you want to target bobcats, expect 10-12 stands in a day. Stands will typically last 10-45 minutes & we will be getting a quarter mile to 2 miles from the truck. It would be our goal to call in 1 bobcat in a 2-3 day hunt period. It’s very unrealistic to successfully take a bobcat on a 1 day hunt (even though we have done it), so 2-3 day predator hunt bookings are preferred. While hunting or calling for bobcats, we typically call-in gray foxes. Bobcats & gray foxes lay up in a lot of the same areas, so this is common. 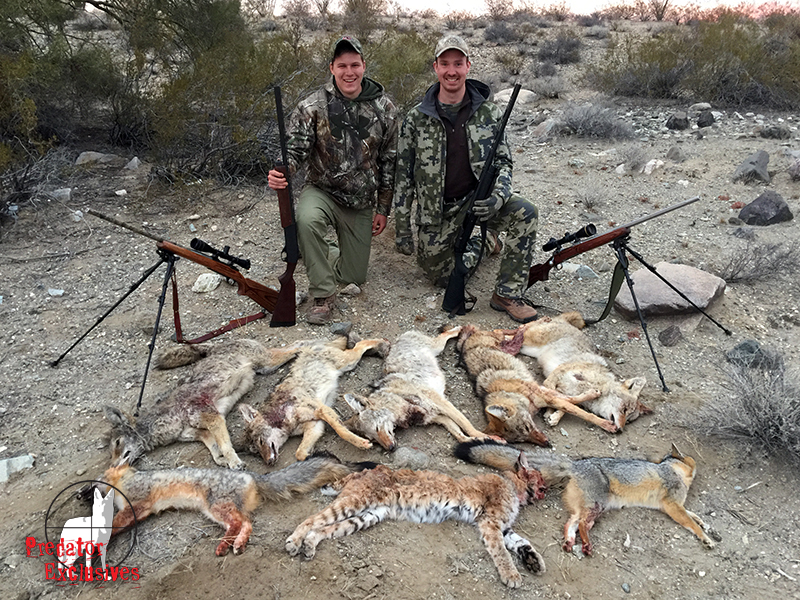 Gray fox are legal to kill in Arizona and are a very beautiful animal to mount, but if you are wanting to take a bobcat it may be necessary to pass on other predators, in order to reach this hunting goal. What’s our predator hunt success rate? We typically average 4-6 predators called-in (with-in 150 yards). We expect to call-in 2-10 predators a day, while hunting for coyote or gray fox. With that said, inclement weather and hunting conditions can hinder our ability to call in predators. Bobcat Specific Hunting trips are the exception, because of the time in between stands and habits of the predator. The actual kill percentage is up to the hunter, most hunters will average 50% or less on predators that come to the call. Predators are not a stationary target, they often come running & are always moving. Their keen sight, sense of smell & hearing make them a difficult animal to take. We currently have both public & private land guided predator hunts available. 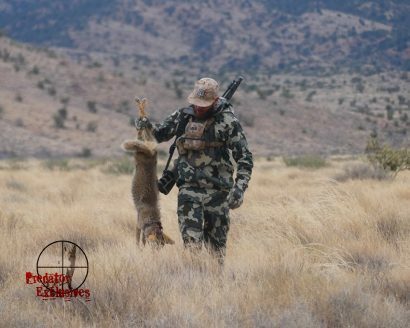 The majority of our hunts will take place in Northwest & Central Arizona on public open land. 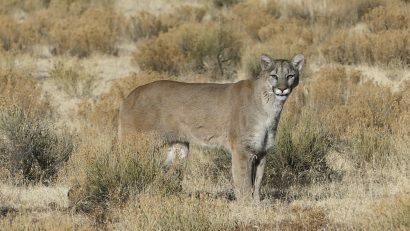 Private Land guided predator hunts typically do require an extra access fee. Tap below for more on our guided predator hunt costs & logistics!